Picture from last week of West Ham ward Councillors (John Whitworth, me and Freda Bourne) with street Artist Mr Cenz (on right), in front of his fantastic mural in Church Road junction with New Plaistow Road, E15 (next to William Hill bookmakers). 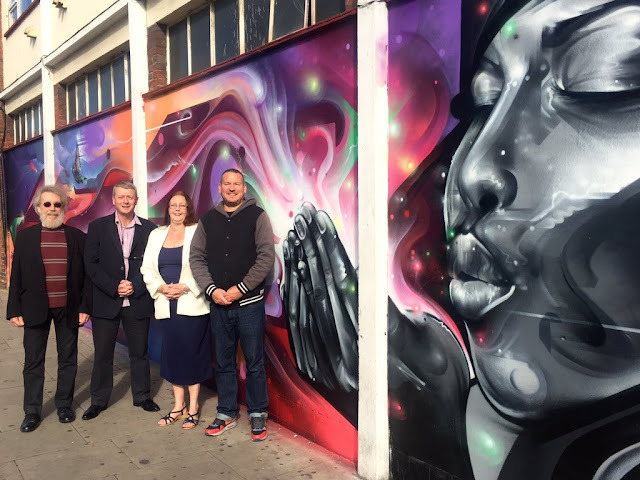 There are now 3 different street art murals by internationally renown artists in Newham sponsored by local businesses. More are planned and it would be fantastic to make Newham an international centre of high quality street art on public spaces.